If you have ever considered sponsoring a child in foster care, but not taken that ‘leap’… NOW is the time!! IAAP, a well respected adoption agency, runs 2 centers in China that care for children that are either too sick, weak or malnourished to remain at their orphanages. The centers care for the children until they are healthy and strong and receive surgery, if necessary. Then the children go back to their orphanage where they will hopefully be placed for adoption! But the centers are in desperate need of funds. In fact, if 100 new sponsors are not found for the remaining children, the centers may not be able to stay open to provide the care that these children need so urgently, forcing many of the children to be sent back at their orphanages prematurely. PLEASE consider sponsoring one of these CUTIES!! needs children in China (please read the article below about Li AiHua’s surgery tomorrow). At the left you will find our fundraising thermometer showing how far we have come and how far we still need to go to fully fund the Changchun and Siping Centers. We have added over 50 new sponsors in the last two weeks, but we need a minimum of 100 additional sponsors to be able to keep both Centers open. Although this will allow us to keep the Centers open, it will not provide for those unexpected situations such as emergency medical care or repairs to the heat system when it is 10 below zero outside. To do that we need the full 330 sponsors. If we can find another 100 sponsors right now, it will prevent us from facing the possibility of having to send some of the children back to their orphanages before they are ready to go. We don’t want to send them back while they still need special care to to the very orphanage that could not adequately care for them in the first place. We had an email from a new sponsor last week that really clarifies the value of the $28 per month donation. She said she was out with her family eating dinner at an average family restaurant and realized they would pay an amount for one meal for their family that was more than the $28 sponsorship for one child. That places a whole different perspective on the value of that $28. Cheryl and I sponsor 2 of the children. We know we all need to watch our pennies but we also know this will make a huge difference in the life of these children. We know that many of you may feel that your $28 is so small an amount that it can’t possibly be significant. But $28 sent by 330 of you would be an incredible amount for the Centers! We hope you will decide to make the difference in the life of one of these children by Sponsoring A Child. Hey Stefanie! Thanks for the information, I will check it out tonight and get the word out at church as well. BTW…we’re feeling “it” again and it looks like we’re China or South Korea bond…again! I’ll keep you posted! On your pictures on the right side of your blog, after the childs name you have “referral” . . . what does that mean? I did it!! I am now sponsoring Tian Rui. When I was looking at all the pictures Tian Rui’s smile just got to me. I have been wanting to sponsor a child for a while but I just haven’t done it. I am glad I waited for the right one for me and my family. I really want another child but that is not going to happen unless of course God leaves one on my door step which I am not ruling out. Thank you for posting about sponsoring a child. I am SO glad to hear you decided to sponsor a little one through IAAP, it is going to make such a difference for Tian Rui! Stefanie…thank you for posting this on your Blog. IAAP united me with my youngest daughter (SN) in 2006, so they hold a dear spot in my heart. And to Peter, Brooke, & olivia…great choice! I have a daughter just 2 weeks older than Tian Rui. She was adopted at 10 months through China’s NSN program, but she is deaf as well. I look at Tian Rui & think, that could so easily have been the fate of my precious girl. Thank you for sponsoring her, especially. Thank you so much for your blog. It has been such a blessing and inspiration. We are now sponsoring Tian Tian. All of the children are so precious and I wish we could do more. We had at one time been sponsoring two children through LWB. The little boy that we had grown to love with microencephaly, passed away suddenly in October and the little girl we sponsored with HepB was adopted last month. We had been thinking about what to do again and I am SO grateful that you posted this. SO GRATEFUL. We are now the happy sponsor family for ZhangQi. I read through some of the files and his brief story touched my heart. Such a rough and lonely start to this life. We couldn’t be happier. We are now the proud sponsors of Chang QuiHui! Her little face and story just broke our hearts. Thanks for posting on behalf of these precious kids. I have always loved that quote and it is something that I truly take to heart. I will look over the IAAP info…thanks for posting it! Peter and I sponsor a child, but this is so important that I will talk to him about sponsoring another. I will also send this info to all my friends (I will probably link your post). On another note, I’m still reading your responses to the questions, but I keep staring at your pantry. I wish I had one. Way to go, Toni!! I am thrilled to hear you will be sponsoring Chang QuiHui! I saw this plea from IAAP on another website and I also receive their e-newsletter after donating last year for a special cause that I now can’t remember. I went and looked at the children and immediately chose Li, AiHua. I remember seeing her face last year some time when she was in their newsletter. Wish I could find her on a waiting list! I would have to light a fire under my DH…but I think it might do him some good! ;o) Something in her eyes really speaks to me. She has just had a surgery…praying that all goes well for her. My son, Jacob, is having a birthday party next week and decided to give back rather than to receive. He is having kids bring donations rather than gifts so that he can sponsor Zhang Qi. I’m praising God for Jacob’s sweet, giving heart, and can’t wait until the party to see how much he is able to raise. We are so happy to sponsor Yuan Yue! John and I had such a hard time choosing- wish we could sponsor them all! Yuan Yue’s new Feb video really captured our hearts. Doing this, in a sense, makes our wait to bring our daughter home seem somehow more productive. Hi Stefanie, we are now the proud sponsors of Shui Yili. My heart melted when I saw her. 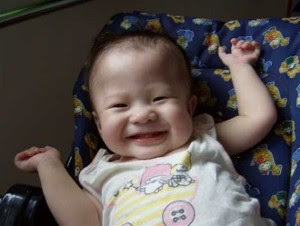 I may never phsically adopt any children but we already sponsor three girls and now Shui Yili is our fourth. Thank you so much for sharing this info. I just wanted to thank you for posting on the opportunity to sponsor one of these little ones. My husband and I sponsored Shui Yili. She is malnurished and I will be faithfully praying that she recovers.